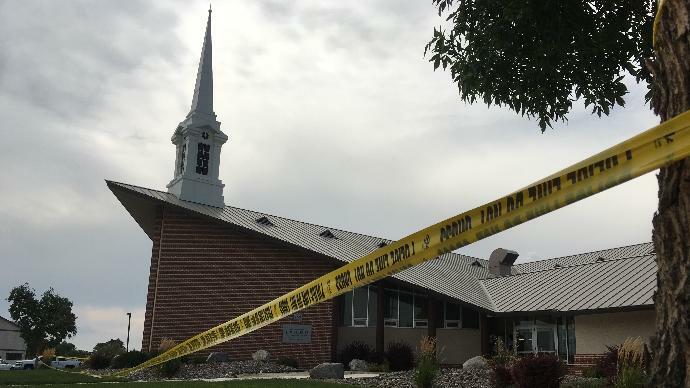 A Mormon church in Fallon, Nevada was subject to tragedy this Sunday when a lone gunman walked into the church and opened fire. Fallon Police Cheif Kiven Gehman confirmed that at least one shooting victim has died and another has a leg injury. A press conference was held with city and church officials such as Gehman and Fallon Mayor Ken Tedford offered some details of the shooting at 750 W. Richards St. According to Chief Gehman, John Kelley O'Connor, 48, walked into the church just before 1 pm Sunday and fired shots indiscriminately into the crowd. There were upwards of 50 people in the church at the time. Then, O'Connor left the church and walked home before surrendering to police who called his home and asked him to surrender. It’s really too early to understand the motive," Gehman said. The names of the victims were acknowledged on social media but they are giving time for family members to be notified before the names are officially released. Mayor Tedford said, "Our hearts go out to family members of those who have lost someone and those who were in the church today where the tragedy occurred." Director of media relations for the LDS church in Salt Lake City Eric Hawkins said, "We express our love to those in this congregation and our prayers for the victims and their families. Local leaders are ministering to them at this time." The gunman surrendered peacefully but exactly what he has been charged with has not been released.